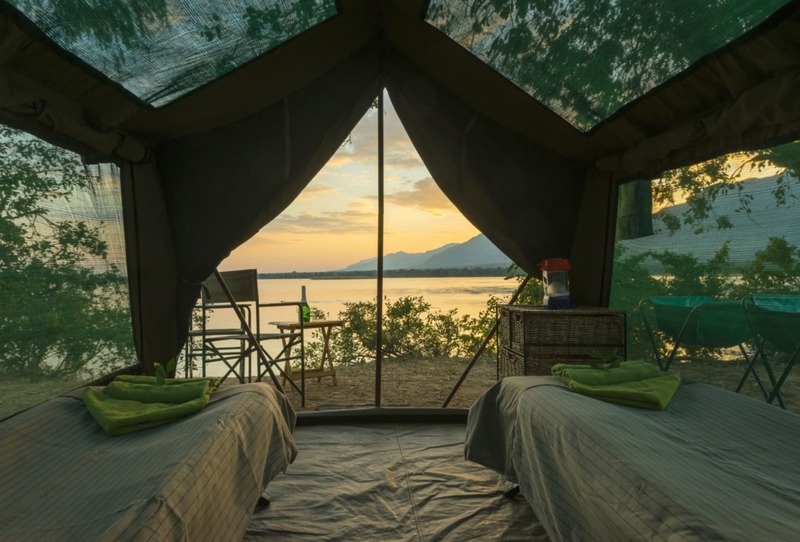 Camp Zambezi is a static temporary camp (mobile camp that does not move) offering rustic accommodation right on the bank of the mighty Zambezi River. 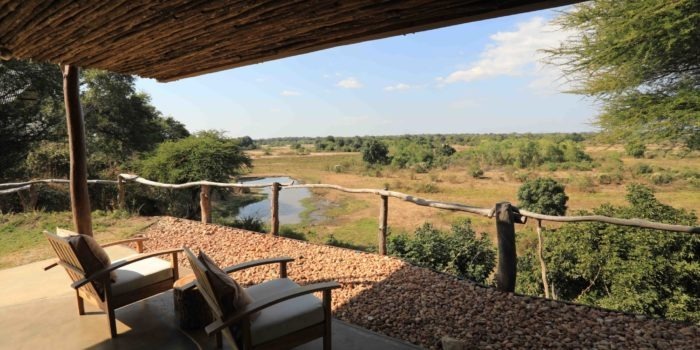 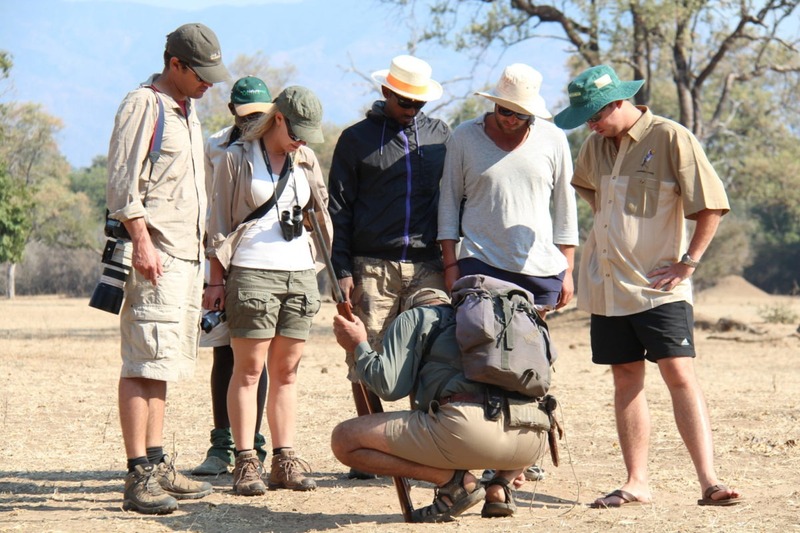 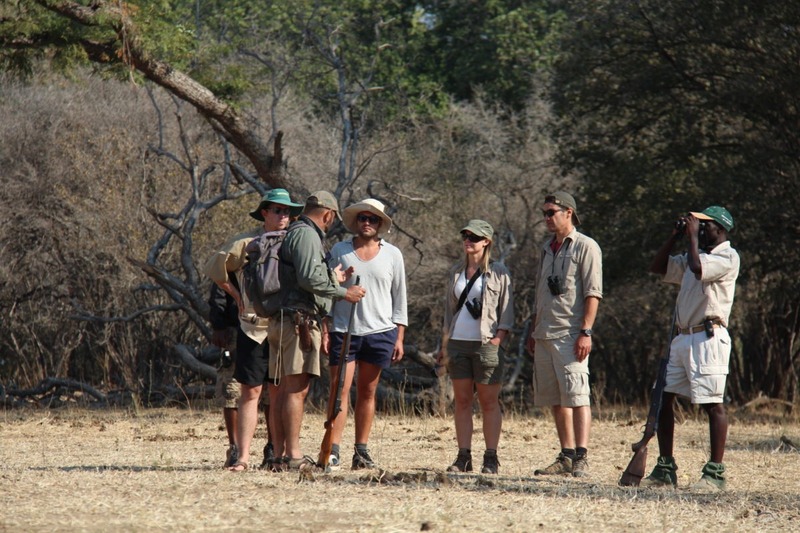 Guests can experience the full range of safari activities including game drives, canoeing and walking. With no set itinerary each tour can be customised to the expectations of each individual group. 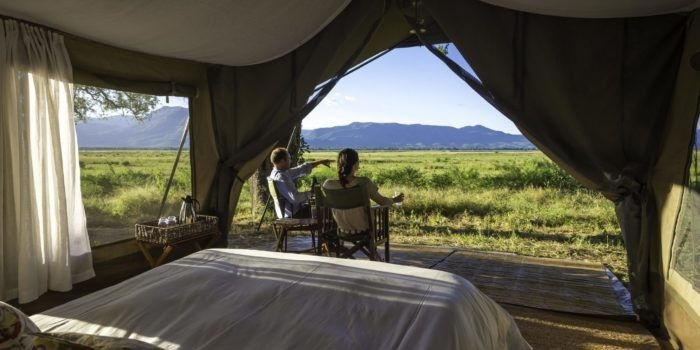 The camp is perfect for those wishing to relax before starting or finishing another adventure around Mana Pools. 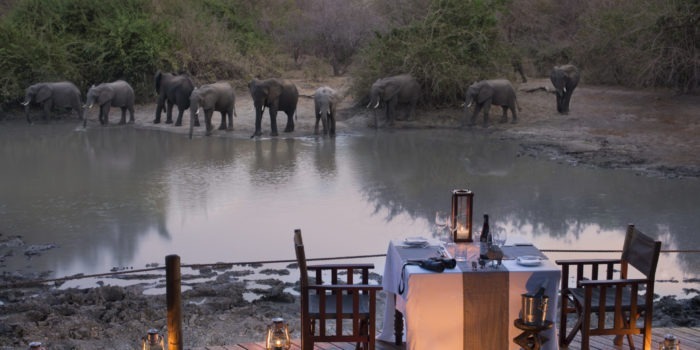 The tented camp is specifically setup for a group of guests by camp staff and removed again upon their departure. 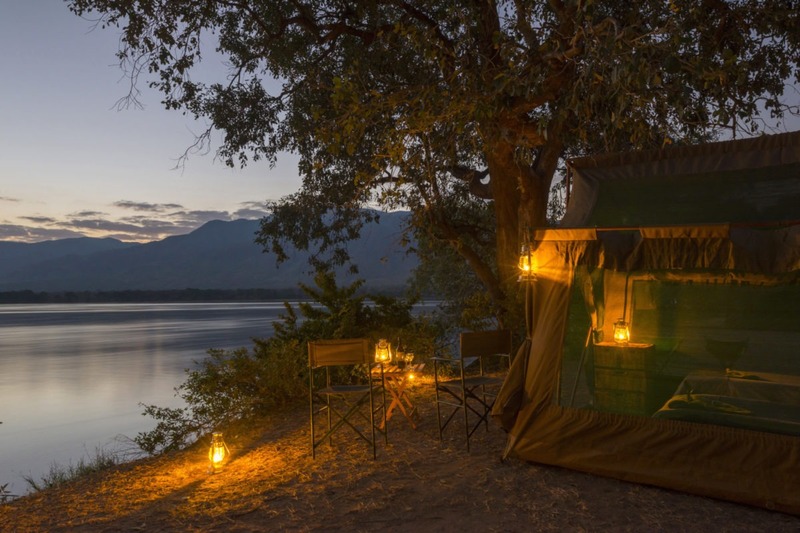 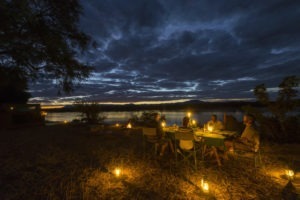 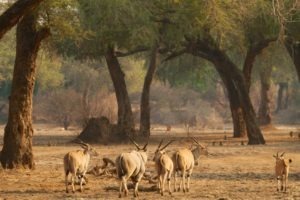 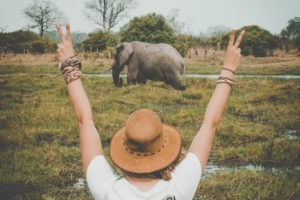 There are a number of campsites all along the banks of the Zambezi and the Camp can be setup at any of them, making for an exclusive experience. 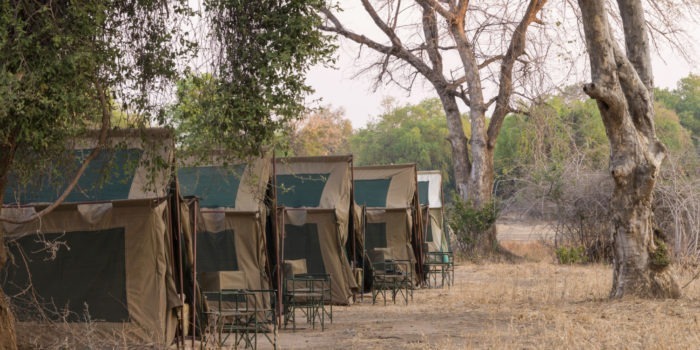 The camp comprises of walk-in mosquito-proofed tents with an en-suite chemical toilet, external long-drop toilets, external hot showers and a dining area next to the fire, where iced drinks and sumptuous bush-prepared meals are served. 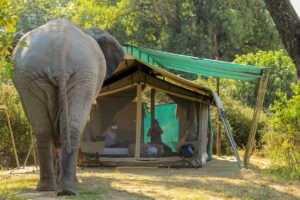 The tents have gauze netting as part of the canvas roof, allowing guests to ‘sleep under the stars’. 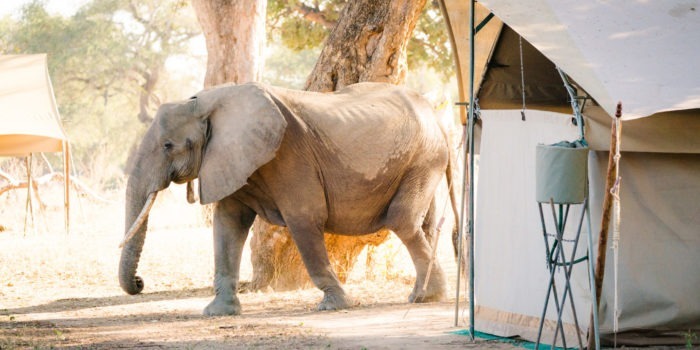 Sleeping is on a comfortable ‘stretcher’ with warm and cosy bed linen. 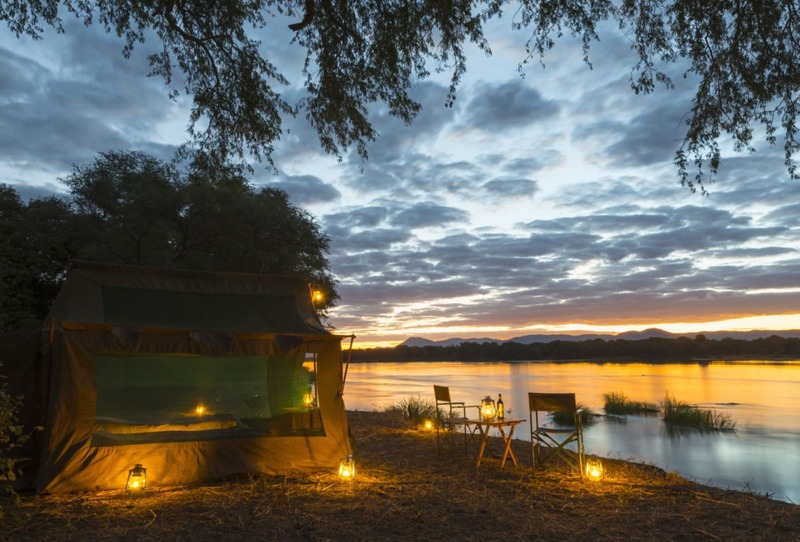 Fishing is also a popular activity from Camp Zambezi particularly towards the end of the dry season – Sept/Oct -when the tiger fish are biting. 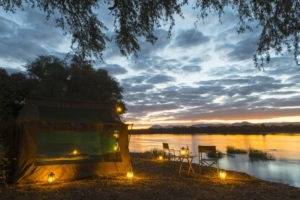 Camp Zambezi is the perfect launch point each day for the fishing enthusiasts. 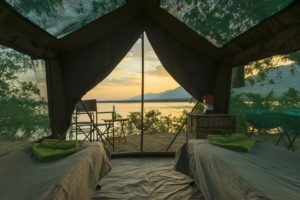 You can canoe out from the camp each day and explore some of the islands and channels and spend the whole day fishing if you like, without the pressure of having to get to the next canoe camp down river, as per a canoe trail. Basic but comfortable stay right on the bank of the Zambezi. 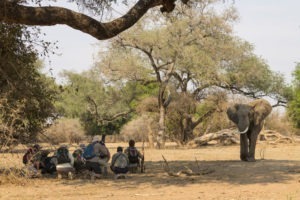 Small intimate camp with great service and food! 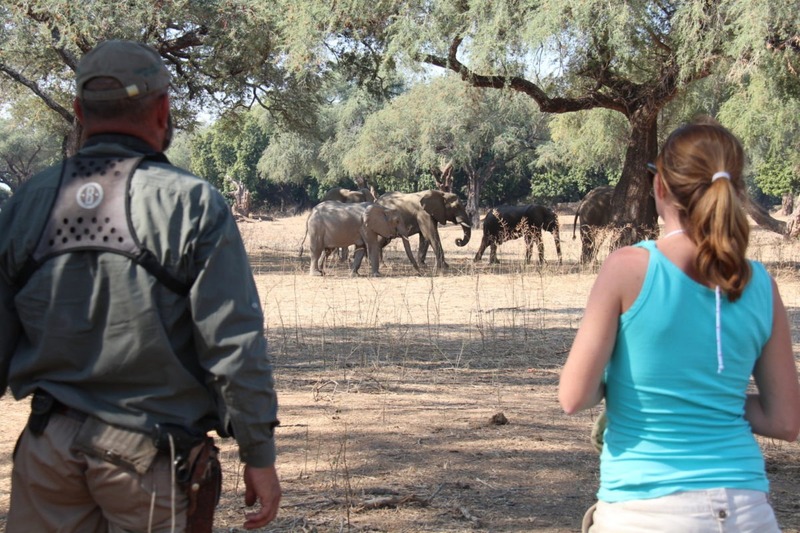 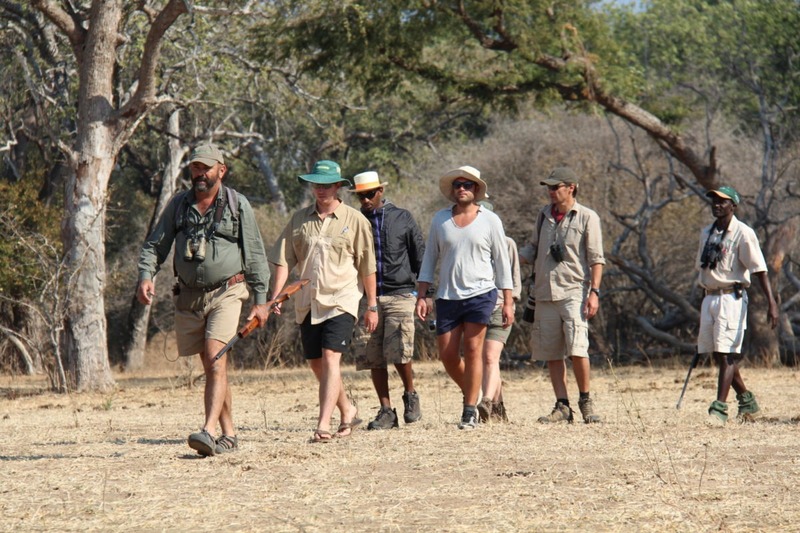 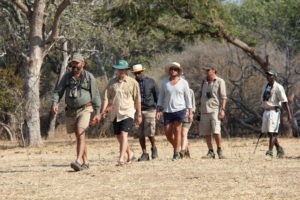 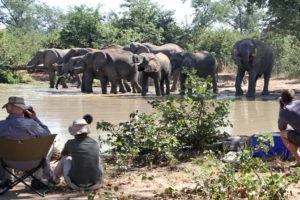 Varied activities including walking, game drives and canoeing. 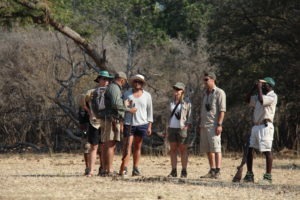 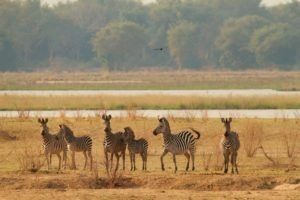 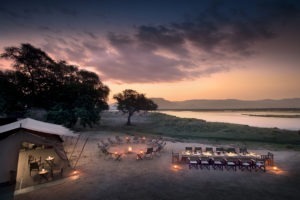 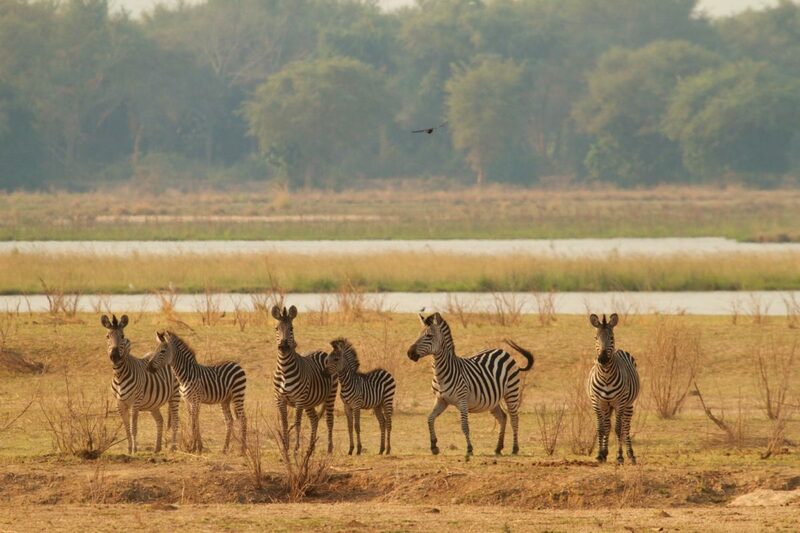 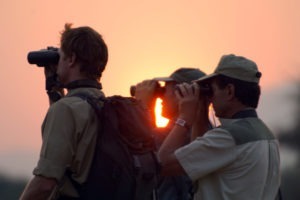 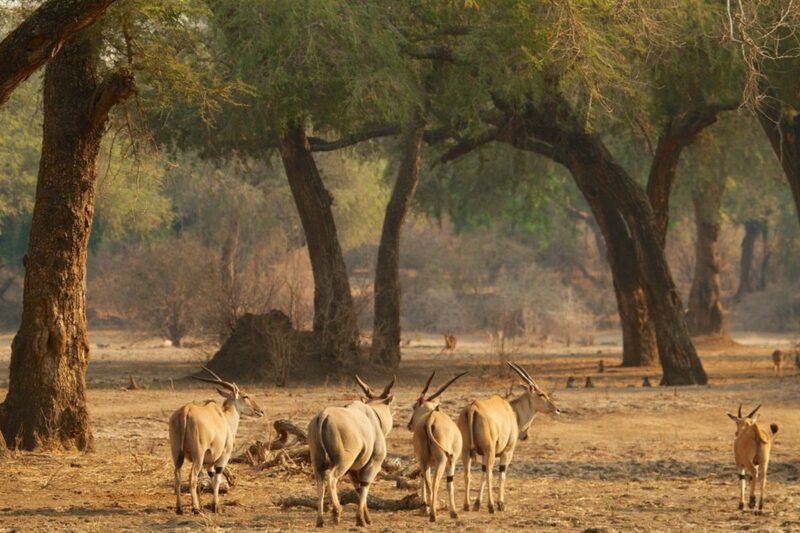 Great base to explore the delights that Mana Pools offers. Good value for money and a REAL experience.